Dezignext Technologies provides more than 100+ Audio, BIM, CAD, Design, Graphics, Video, IT, Security and Professional Business Software training courses throughout Lubbock, TX. Whether you're looking for customized onsite Autodesk Revit Landscape Fundamentals training for a private group throughout the Lubbock, TX area or an instructor-led online Autodesk Revit Landscape Fundamentals class, Dezignext Technologies Learning has the solution for you. The Autodesk Revit for Landscape Architecture course is designed to teach you how to use the Autodesk Revit software, with a focus on creating and documenting full 3D project models for an urban environment, as well as how to use the internal topography tools and the Site Designer add-in extension. You begin by learning about the user interface and basic drawing, editing, and viewing tools. Then you learn how to create topographical surfaces and modify the topography using Autodesk Revit tools and Site Designer tools. From there, you move into modeling hardscapes using walls, floors, and stairs, and adding components such as trees, site furniture and planting areas. Finally, you learn the processes that take the model to the construction documentation phase. Understanding the purpose of Building Information Management (BIM) and how it is applied in the Autodesk Revit software. 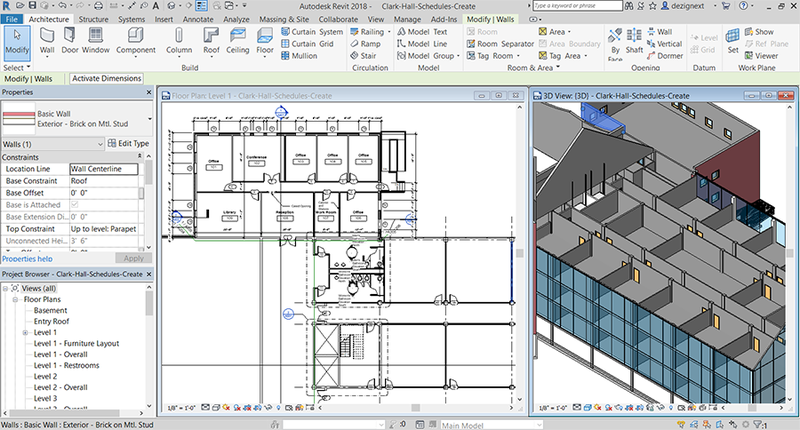 Navigating the Autodesk Revit workspace and interface. Working with the basic drawing and editing tools. Starting a project based on Autodesk Revit models. Creating and modifying basic topography. Using Site Designer tools to modify topography with soft terrain features, sidewalks and curbs. Adding retaining walls, hardscape, stairs and other building elements. Placing components for plantings, furniture, and lighting. Setting up sheets for plotting with text, dimensions, details, tags, and schedules. Dezignext Technologies offers organizations in or around Lubbock, TX hands-on-intensive Autodesk Revit Landscape Fundamentals training and certification courses to empower you with the most recent tools and techniques for accelerating your career. Our certified trainers have years of experience in delivering comprehensive Autodesk Revit Landscape Training Classes to help you achieve high-end skills.